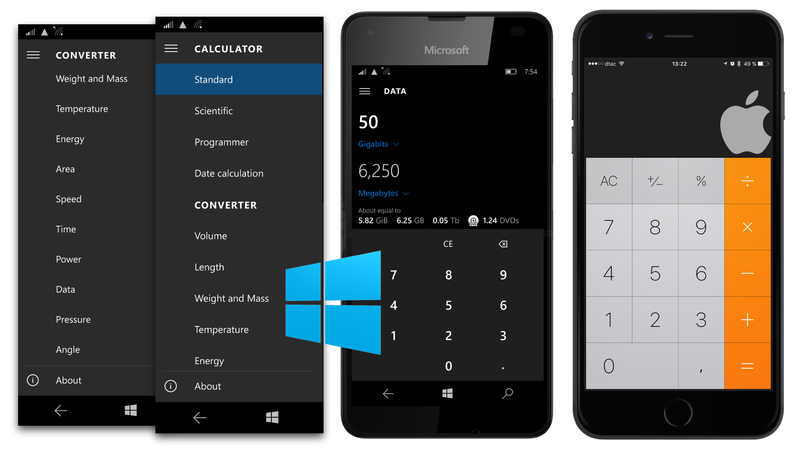 I’d love Windows 10 Mobile if the rest would be as well as Microsoft’s Calculator. The Calculator is definitely the highlight of preinstalled apps on my Lumia 550. Apple’s Calculator looks nicer (like almost every UI designed by Apple in California) but hey, it’s a calculator. Features count and regarding this app tidbit Apple is definitely not in the same street as Microsoft. but in this case you miserably failed. But it’s always good to have some room for improvement. Come on Apple, do your math. Come on Microsoft, do the rest.